YAZOO (Alison Moyet and Vince Clarke) have announced details of ‘Four Pieces’, a remastered, four-piece box set, out on 26 October 2018. ‘Four Pieces’ will see four vinyl discs, packaged in a premium hardback-book format, alongside four art prints, six pocket-sized photos and a reproduction double-sided poster. The new box set features both of the band’s remarkable album releases – 1982’s Upstairs at Eric’s and 1983’s You and Me Both – alongside a disc of remixes and a fourth disc featuring both of the band’s highly sought-after BBC Sessions in their entirety. Both recorded in 1982, courtesy of John Peel and David Jensen, these two outstanding sessions are collected here for the first time on vinyl. Remixes featured on the 38-track box set include an unreleased remix of ‘Winter Kills’ by Minute Taker and rare reworkings of tracks from Richard X and Todd Terry, alongside extended versions and the orchestral mix of ‘Only You’ which featured on a recent Boots television advert. 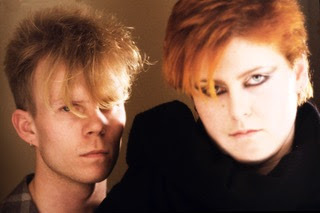 Yazoo formed in 1982 and, over an intense 18-month period, released two albums, four iconic hit singles and toured only once before they stopped creating music together. In that time, Vince Clarke and Alison Moyet created a sonic legacy and style which sent shock waves through the charts that still resonates. Their boundary-breaking music merged cutting-edge electronica with heartfelt, impassioned vocals. Yazoo are often name-checked by artists worldwide, including LCD Soundsystem and Antony and the Johnsons, as musical inspirations. Disbanding 35 years ago, on the eve of the release of You and Me Both, which reached Number 1 in the UK chart, Vince Clarke and Alison Moyet continued to have successful careers in their own right, Vince with Erasure and Alison as a solo performer. Both artists have recently released Top 20 albums, Moyet with her 2017 album, Other, and Clarke with 2017’s World Be Gone. 36 years after they first presented Mute’s Daniel Miller with their first track, the heart-stopping electronic ballad, 'Only You', the impact of Vince Clarke and Alison Moyet’s unique songwriting is as it was in 1982 and, in the words of Record Mirror at the time, “Whoever said synthesiser music has no feeling can start eating their hearts out now”.